Smiley & Italia Independent join forces @Silmo for the ultimate party-people Sunglasses collection! Smiley and Italia Independent have been this weekend at Silmo in Paris premiering the coolest sunglasses collection for this Autumn Winter party season. Italian Independent is one of the newest sunglasses brands in Italy, unique in terms of style, material and the cool factor. All these elements have been brought together to create these Black and “yellow smiley” sunglasses, giving the lenses a super cool touch to both versions the black smoky option and the mirrored gold version in order to create a capsule collection in two styles available on the Smiley website, click here. Which one is your favourite? SMILEY debut’s at Milan Fashion Week: the popular yellow smiley face brand presents together with the Italian brand Happiness the new spring summer 2014 capsule collection, which reinterprets the spirit of Franklin Loufrani, father of the iconic smiling brand. The location was Tortona Street in Milan, just in front of the White Trade Show, which has been inundated by international fashion journalists, who came to see the amazingly cool ‘Happiness gym’. Guest of Happiness & Smiley stand included the popular champion bike trial rider Vittorio Brumotti, and the showgirl Giorgia Palmas, together with the international chef Carlo Cracco, who came with a hot dog van, to offer his speciality: Eggs a la Cracco Style. At the event, even the famous writer Nicolai Lilin, author of the best seller “Educazione Siberiana”, which is being made into a movie with the actor John Malkovich, in the hands of the popular director Gabriele Salvatores. The capsule collection SMILEY & Happiness is a perfect match between SMILEY a club culture brand, which dominated the Londoner fashion in 90’s, and an Italian firm which is reinventing streetwear. SMILEY & Happiness collection is already available on My Closet store in Milan. 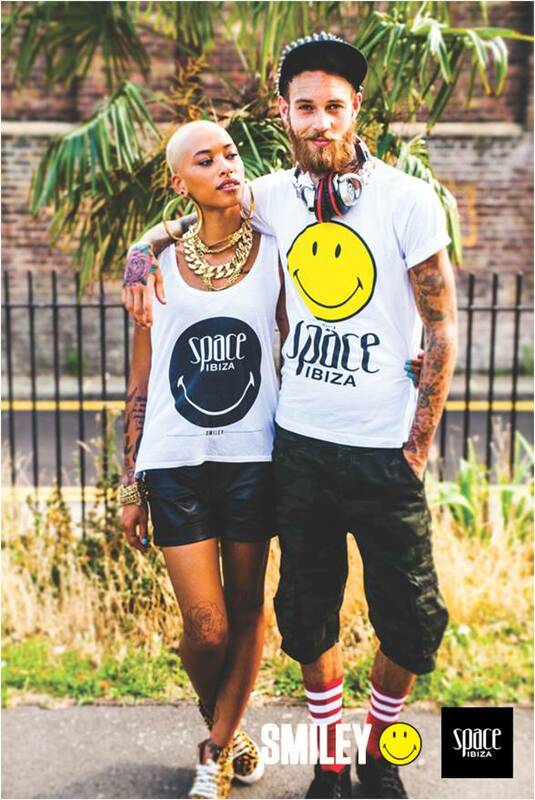 MFW has been for SMILEY another occasion to party… we love it! The Smiley Company invites You All to Milan Fashion Week 2013 to present the preview of the new Smiley London SS14 Collection and an exciting collaboration with ‘Happiness’, one of the coolest new brands on the scene in Italy and Los Angeles. After riding for many generations, Smiley, the global symbol of Club Culture and House Music, does the rounds on the international fashion scene, spreading the free and rebellious spirit of 80’s and 90’s revival. Come and discover hot Smiley trends and share the positive philosophy of an iconic logo and undisputed ambassador of happiness for over 40 years. SMILEY & Happiness will be in Tortona Street N.31 by 21th to 23th of September. Bring your smile and enjoy the party! Smiley Company at CBME tradeshow in Shanghai, spreading the smiles across the Asia Pacific! Here we go again with another blogpost from Shanghai! Following from a successful show at Novomania, the CMBE tradeshow is committed to the development of children baby maternity industry in China. Smiley are proud to be a part of it. CBME cover a wide range of products including toy, food, clothing, shoe, furniture and accessory. 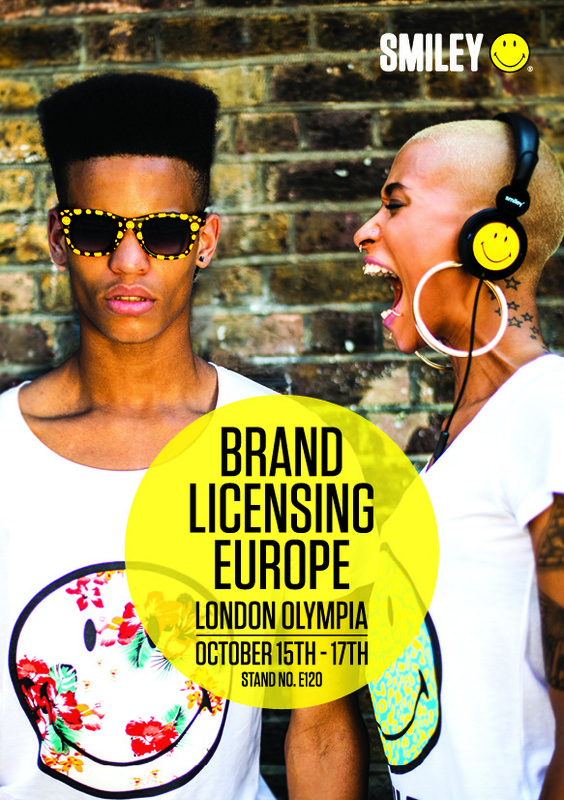 Not only a showcase for product, its where the industry picks up the latest trends for little consumers and their mums. 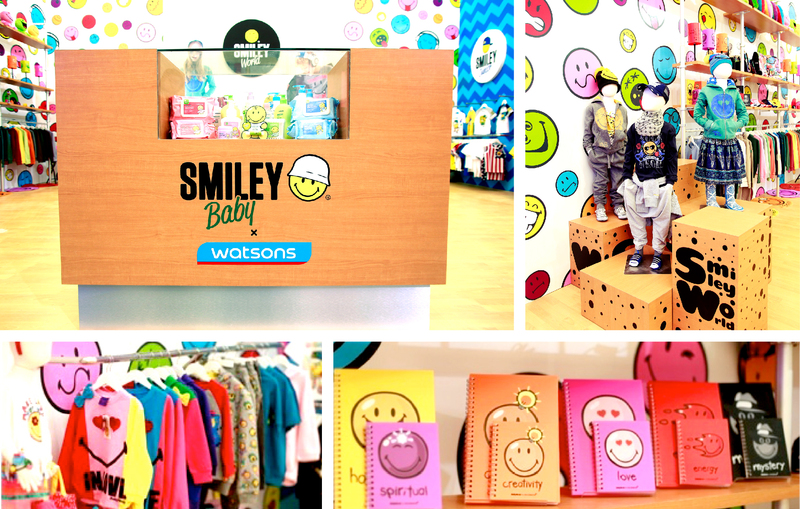 Smiley Company has participated at the event exhibiting the entire SmileyWorld range dedicated to the youth and baby segment with: SmileyWorld Kidswear AW13 collection , the Smiley Baby lotions and baby product from Chinese partner Watson’s and the dedicated line of SmileyWorld Colour Therapy from Paris based, Incidence. The stand has been designed to deliver an insight into the universe of the SmileyWorld customer experience; beginning with decorated walls all across the stand adorned with the hundreds of icons which make up SmileyWorld. Each corner of the stand has its own dedicated features to our special age groups: Smiley Girl, Smiley Jr, Smiley Baby and SmileyWorld. Next Time come and say hello to the stand 🙂 for any enquiry please write us at help-at-smiley.com.